Be Kind, Be Respectful, Be Awesome! Welcome to the Internet home of the Jennings County Educational Center (JCEC). Located in North Vernon, Indiana, we serve approximately 200 students every year. 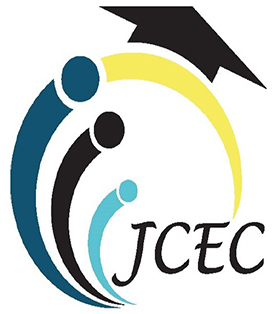 Whether you are working on your high school equivalency diploma, participating in work training, or have other educational goals, we at JCEC are dedicated to supporting your efforts and helping you succeed. We believe in you. I would like to welcome everyone back. I hope you found the Christmas and New Years holidays restful and enjoyable. I also hope you are all staying warm and adjusting to this winter weather. One hundred and thirty-six students have enrolled. Thirty students have passed the high school equivalency diploma test. Forty-three students have increased one or more TABE levels (a level is equivalent to two grades). Twenty-one students have passed an occupational certification examination. Our students have participated in five different occupational trainings: certified clinical medical assistant, Microsoft Excel, MSSC - certified production technician, teacher assistant paraprofessional, and commercial driver’s license. We are excited about 2019! We are ready to help you complete the high school equivalency program and pass the official test, or perhaps complete an occupational training and become certified. This is your year! Set a goal and let us help you reach that goal! JCEC is proud to announce our free and upcoming occupational training classes.